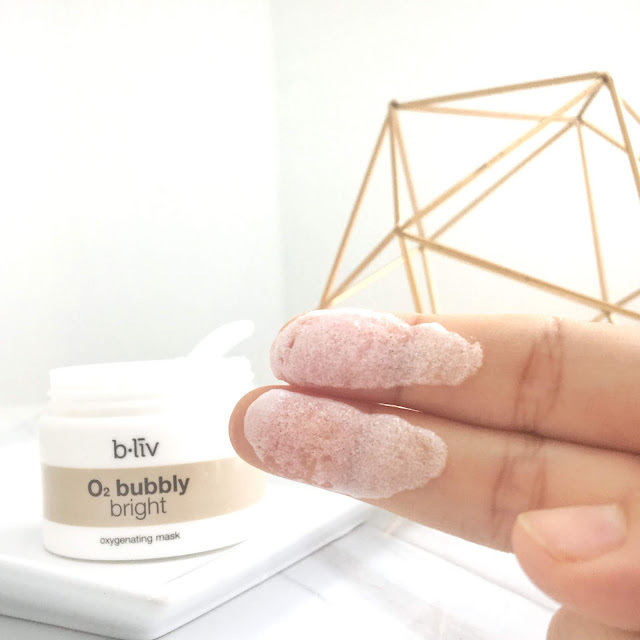 I'm back to share a quick and short review on the B.liv O2 Bubbly Bright Oxygenating Mask that I've been trying for the past month. It's kinda funny that the first thought that I had when I first received this product was on why I've never actually tried any of their products before despite knowing about this brand existence for quite awhile. 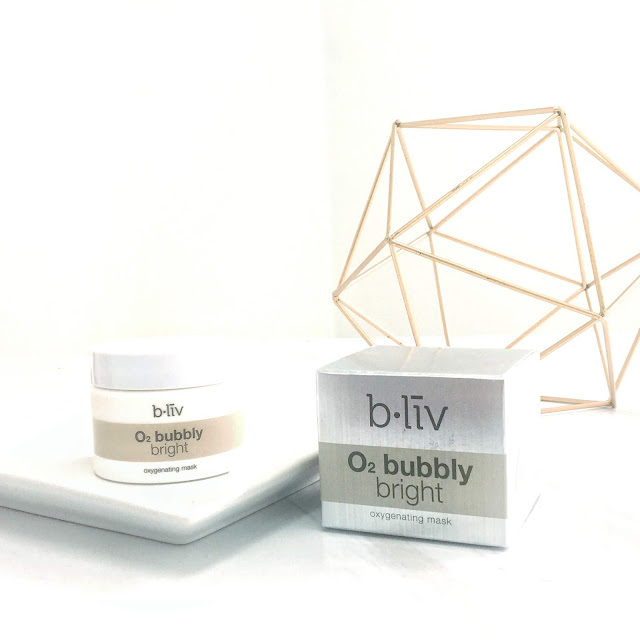 I've heard about some of their star products such as B.liv Off With Those Heads and B.liv Shrink and Tighten which are said to be good for those with blackheads, whiteheads and large pores issues so I am thinking of trying them out next time. 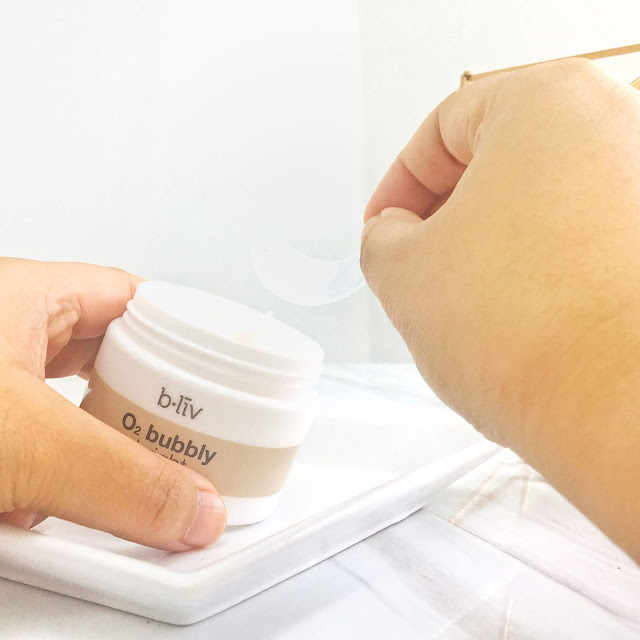 Anyway, let save that part for later and give our attention to the focus of the post today, the B.liv O2 Bubbly Bright Oxygenating Mask. After trying this out, I can immediately see the brightening effect the mask gives on my skin. My face looks less dull and more lively afterwards. Like I mentioned above, the application of this product is pretty easy. 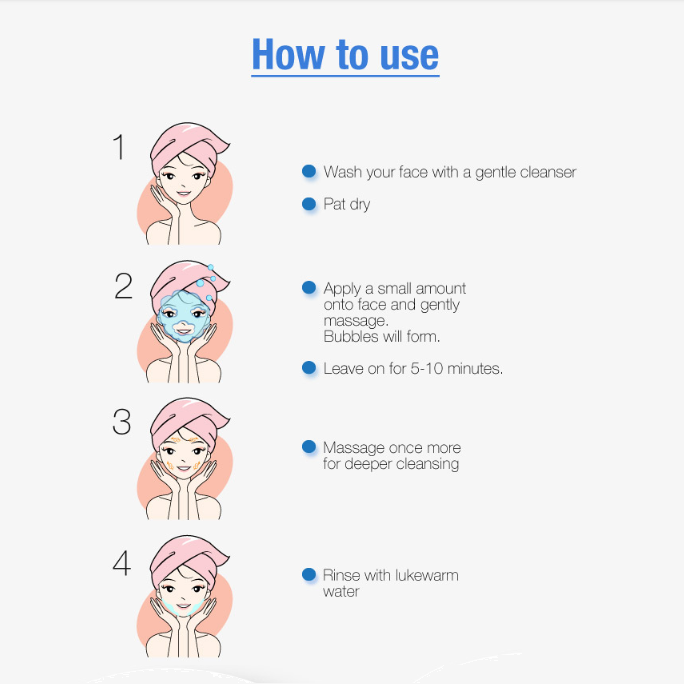 Just spread it evenly on your face, and it will start to bubble. To be entirely honest, it's not as 'bubbly' as I thought it would be especially compared to a few other bubble masks that I've tried before but I don't really see any issue about it (less fun maybe?). Just want to point it out for the sake of comparisons. Comes with a spatula for hygienic reason. The mask bubble up almost immediately after application. After washing off the mask I definitely feel my dry skin becomes more hydrated and plump. 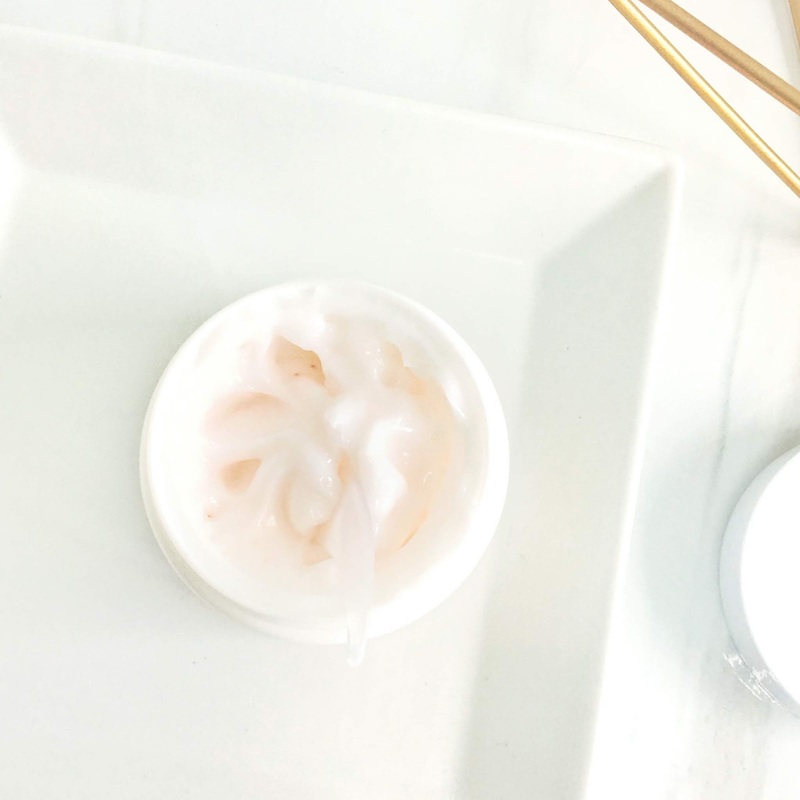 My dull skin looks brighter, healthier and less dead looking ( I mean more youthful, hoho) too! With Vitamin E which is great for anti-ageing, it's definitely a good plus for me as well. I am going to give this product a 4/5 rating in term of the overall performance. It does what it does, it doesn't strip away moisture from my skin and it is pretty affordable. A little goes a long way and I can see myself being able to use this mask more in the future too.